Michael Alley is an associate professor of engineering communication at Penn State and the author of The Craft of Scientific Presentations. He has taught the assertion-evidence approach to scientific presentations on four continents, in sixteen countries, and at more than 150 companies, laboratories, and universities. Currently, he collaborates with other instructors to teach larger workshops, with the numbers of participants running from 25 to 150. Clients include Texas Instruments, Simula Research Laboratory in Norway, the Engineering Ambassadors Network, and Shanghai Jiao Tong University. The training, which calls on participants to prepare, deliver, and receive a critique of an assertion-evidence talk, usually runs two days. However, Alley still gives one-hour seminars and half-day workshops that focus on assertion-evidence principles. 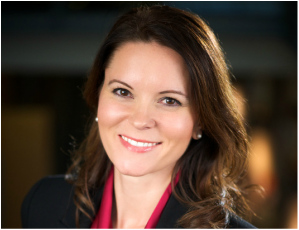 Christine Haas brings over ten years of experience working in marketing and communications with a focus on the science and engineering fields. She has held the position as the director of operations for Worcester Polytechnic Institute-Engineering. 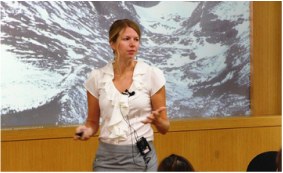 Since founding Christine Haas Consulting, LLC in July 2012, Christine has traveled around the world teaching courses to scientists and engineers on presentations and writing. 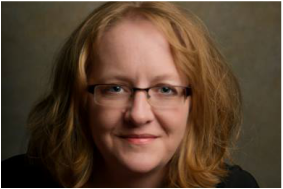 She has taught clients across government, industry and higher education, including Texas Instruments, Brookhaven National Laboratory, European Southern Observatory (Chile), Simula Research Laboratory (Norway), and the University of Illinois. Christine is also the director of the Engineering Ambassadors Network, a start-up organization at more than 25 universities worldwide that teaches presentation skills to undergraduate engineering students, particularly women and underrepresented groups in engineering. 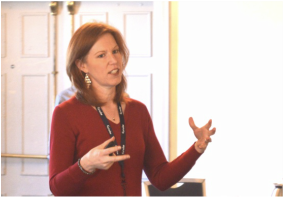 Lori Miraldi is Lead Instructor of an effective speech course for engineering students at Penn State University. She holds a M.A. in Communication Studies from Kent State University and is a Ph.D. candidate in Workforce Education at Penn State University. In addition to training engineering students in effective presentation and slide design skills, Lori teaches presentation courses for carpenters to 'train the trainer.' She and her husband, Peter, have been training fellow communication professionals, not-for-profit organizations, and professional engineers in effective presentation slide design. Lori is passionate about helping engineers, educators, and tradespeople share their expertise. Dr. Peter Miraldi is a Senior Lecturer in Communication Arts and Sciences at The Pennsylvania State University where he teaches presentation skills, group communication, and conflict management. 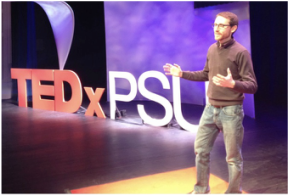 As the Lead Speaker Consultant for TEDxPSU, Peter trains presenters how to make complex information accessible and impactful to a general audience. Peter, and his wife, Lori Miraldi have consulted organizations such as Penn State's Applied Research Laboratory, The National Organization for Business and Engineering, and Special Olympics of Pennsylvania. 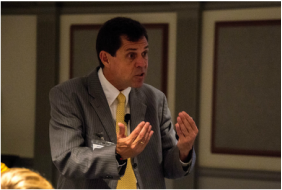 In addition, Peter and Lori present workshops across the country to help educators, engineers, and executives, and improve their persuasive presentations. Traci Nathans-Kelly, PhD, currently teaches in Cornell University’s College of Engineering. As a member of the Engineering Communications Program, she interacts daily to help undergraduates and graduates alike to hone their messages to their instructors, their internship managers, co-op directors, thesis and dissertation committees, and for audiences at conferences. Before coming to Cornell in 2012, she spent 14 years working at the University of Wisconsin-Madison in the College of Engineering. Mostly notably, she taught in the online Masters of Engineering Management (MEM) degree and the Masters of Engine Systems degree, aiding practicing engineers communicate targeted technical messages with strength, evidence, and conviction. She serves as the series editor for the IEEE Professional Communication book series titled Professional Engineering Communication. The book Slide Rules: Design, Build, and Archive Presentations in the Engineering and Technical Fields was co-authored with Christine Nicometo. Slide Rules relies on the assertion-evidence model at its core. Christine Nicometo has taught presentation design and delivery to engineers and technical management for well over a decade. Her co-authored book, Slide Rules: Design, Build, and Archive Technical Presentations (2014), is a culmination of her work building on Michael Alley’s assertion-evidence method. She regularly provides presentation workshops, courses, and custom coaching through the University of Wisconsin-Madison’s Department of Engineering Professional Development and has created custom sessions and workshops for companies such as 3M and Boeing. While her most popular workshop is her two-day presentation bootcamp, she has seen outstanding results in teaching presentations through an online format and she regularly teaches seminars in online presentation techniques as well. Keri Wolfe holds a B.S. in chemical engineering with honors in communication arts & sciences from Penn State. During her time as an undergraduate, Keri worked closely with Michael Alley and Joanna Garner in conducting research experiments related to the assertion-evidence approach and presented work at the 2011 and 2012 American Society for Engineering Education National Conferences. Her teaching experience includes a teaching assistant-ship for an undergraduate class, as well as co-teaching workshops at Penn State, the University of Illinois, and Texas Instruments. As a Penn State Engineering Ambassador, Keri delivered frequent presentations to diverse audiences ranging from 4 to 400 in size. 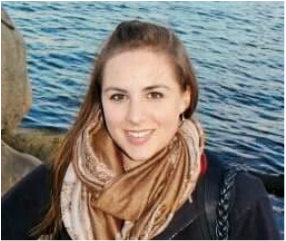 Based in Houston, Texas, and in Gelsenkirchen, Germany, she is currently working as an Analyst at PinnacleART.